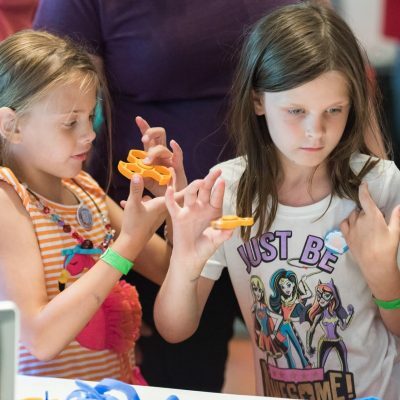 WHY IS 3D PRINTING FOR KIDS AND TEENS AN IMPORTANT CLASS? No matter how much things change in the future there will always be manufacturing. Manufacturing will go through changes, and 3D Printing is one of the most recent manufacturing disciplines. Knowledge of CAD and Manufacturing Processes is an important skill and no one around is better at teaching this than Kinvert. This is even a topic that hits Kinvert directly. In our Robotics for Kids and Teens class we noticed a couple things we could improve on. First, the Robots go through a ton of AA batteries. Second, to turn 90 degrees the Robot must turn the wheels for 51 encoder ticks. So we designed our own Robot Chassis that takes rechargeable hobby level RC batteries. We widened the Robot to turn 90 degrees with 60 encoder ticks. To get a single robot manufactured with old methods would cost a ton of money. But with our $1,000 3D Printer we can now manufacture a Robot Chassis for around $1. This is what 3D Printing for Kids is all about. Showing the relevance of this topic and setting kids up to succeed as entrepreneurs. 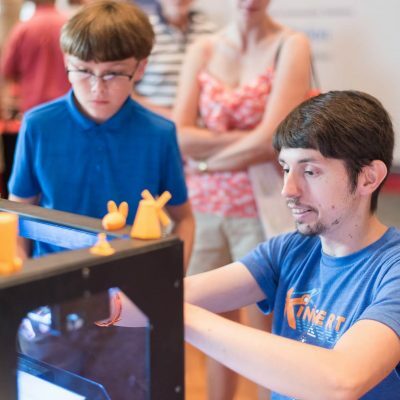 WHAT SETS KINVERT APART FROM OTHER 3D PRINTING FOR KIDS CLASSES? Let me tell a quick story. My first semester at Center Line 1 kid signed up for 3D Printing for Kids. Halfway through the semester on multiple occasions, from parents and students, I heard the same thing. “That was Kinvert teaching 3D Printing? We thought it was _________. If we knew it was you we would have taken the class.” Fast forward to the present and 3D Printing for Kids and Teens is one of our fullest classes. By the way, that one kid that signed up that first semester knew this was a Kinvert course. 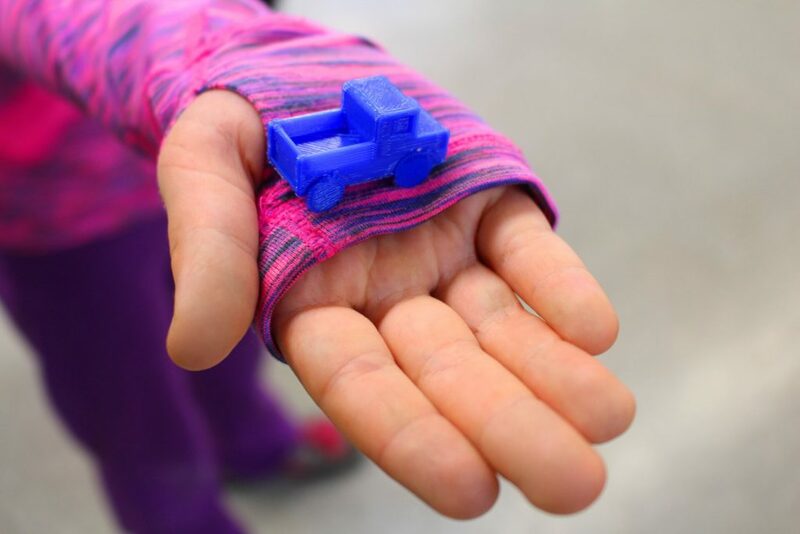 Here are some of the things that set Kinvert apart from the rest, in this case with 3D Printing for Kids. Unless requested otherwise, students are paired in to Design teams. There is an initial lesson on how to use the CAD software. After this students are encouraged to use their own creativity and problem solving to create their creations. When they run in to obstacles with their design or the CAD software they first work with their teammates. This builds Teamwork, Problem Solving, and Critical Thinking. Regardless of your child’s future career they’ll need these skills. In addition they’re gaining great STEM skills in 3D Printing for Kids and Teens. Kinvert’s founder Keith has been gifted in this area his whole life. He won a CAD competition in high school after which he got a lot of job offers. Keith trained himself in top level CAD software and worked as a Design Technician for many years. After that he got Multiple Engineering Degrees, won Robotics Competitions, and worked as a Freelance Engineer and Consultant. 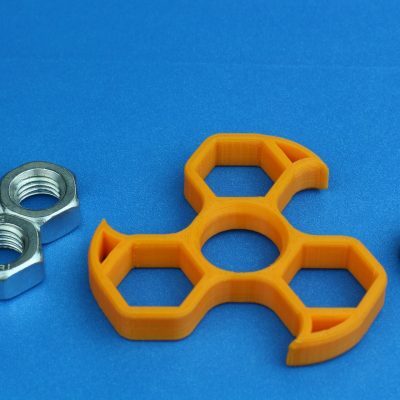 IS YOUR KID READY FOR 3D PRINTING FOR KIDS AND TEENS? 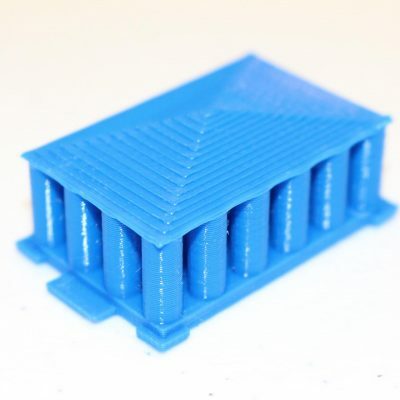 3D Printing for Kids and Teens has the lowest prerequisite requirements of any of our classes. Students will have a better learning experience if they can read. But this is the one Kinvert class where they can still do well without it. Have you noticed how kids as young as 2 know how to use your phone? They recognize the icons they click on regularly. The same is true of the CAD software we use. Our CAD software is intuitive, and the kids can remember the icons even if they can’t read. Kids learn to code in this programming computer class. Kinvert teaches 3D Printing for Kids in Teens in Metro Detroit in Oakland and Macomb counties.